Don’t worry, folks–our friends at Finnleys aren’t going anywhere! After experiencing flooding due to a pipe burst Tuesday, January 17, the store closed its doors for two days. However, they have the situation under control and will be re-opening today, January 20. Customers will temporarily enter the store on the 5th Ave. side, by the Historic Franklin Presbyterian Church, to avoid the damaged area. The crew at Finnleys say they look forward to shopping with their loyal customers in a “cozier” environment, with new merchandise and the sweet familiar scent of their Tennessee Whiskey candle. In the coming weeks, the store will undergo some remodeling and will be forced to close. However, they have their customers best interests at heart and believe they will return better than ever! Stay tuned for specific dates when the store will be closed. Finnleys wants to thank their friends, customers and community for their support during this mishap. Follow along on Instagram @finnleysboutiqe and Facebook @finnleysonline for updates. Also, don’t forget about their online store, open 24/7, at www.finnleysonline.com! 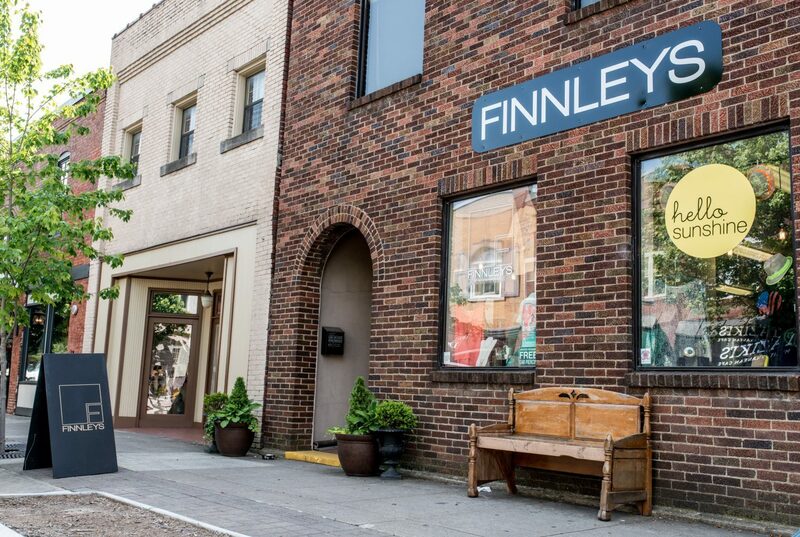 We look forward to shopping at Finnleys and are excited to see the upcoming new changes!